Picket Fence is a distinctive, boutique venue with a charming interior and a delightful outside dining courtyard at the rear of the venue. 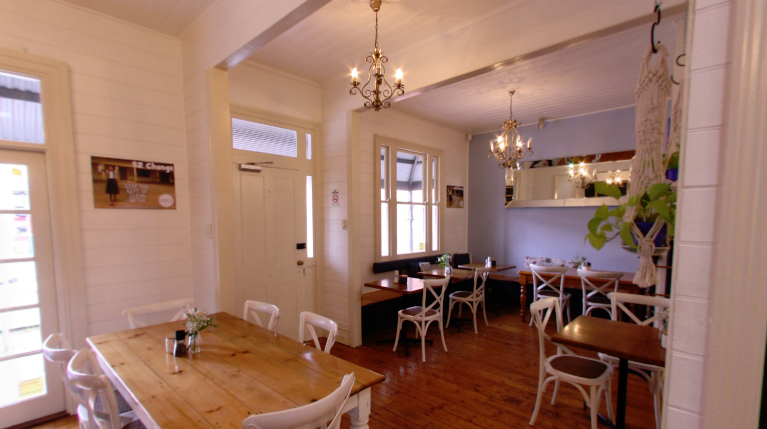 It has been recognised by the Melbourne Age newspaper as Geelongs best café. The following excerpt is from The Age: "Now this place is straight up adorable. The menus come inside little golden books, the service is near telepathic, and you can sit inside (with warm orange walls, tables or kick back couches, goldfish and a chandelier), or under a big tree in the garden (in the winter, cosie up to a blazing chiminea). Linger over all day brekkies, such as Turkish toast with thick chick pea puree, avocado and tangy tahini-yoghurt. Or move on to a nutty, fragrant veggie wrap; buttery greek style calamari; or if you're lucky and it's on the specials, churos with lick the dish chocolate sauce." Picket Fence is available for a range of functions from birthdays and social functions through to the most elaborate wedding receptions. The outside courtyard offers that something a little different, and is always popular in the warmer months.